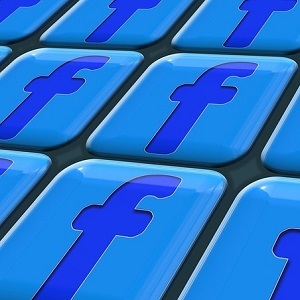 Facebook can bring targeted potential buyers to your listings if promoted right. This can be done if your listings or posts are promoted with the right audience, which you can choose and assign when boosting a status. The problem is, depending on your area, reaching to the right audience can be very expensive. And you don't know how the people, who see your boosted Facebook status will react. Today I was doing a little research about this to find some good for real estate agents on how to best do Facebook SEO and social media marketing and found this interesting story from Rebecca Coleman, in which the author advocates that one can register a good amount of success on Facebook with $5 marketing strategy. Coleman says you don't need to boost every status. It will become very expensive. But if you have a very interesting post, from time to time it is worth doing it. Now, Facebook will give you three options to choose when targeting an audience. Choose the one that reads "target audience that I define." In this way you will be able to closely target your audiences, people who may search or look for apartments, mortgages or houses in your city. Also, by doing this, you will introduce your business to a new audience, which is highly targeted. She calls the results "awesome," and adds. "My post reach soared to 1,600, and I got a ton more comments, as well as a few shares." Do you think it's worth to give Facebook $5 once in a while? Have you had a similar experience? Whenever I see Chris Smith, one of the founders of Curaytor who says to use Facebook to promote listings and then use your website to promote Just Solds. We use FB for $5 to promote ourselves as well in the neighborhood community as a Realtor of choice. It works well.